Drilling Choke Controls – Absolute Control, Inc.
Absolute Control manufactures control consoles to meet any need. From standard CIW and Swaco style choke control consoles to control units capable of operating today’s severe service worm-gear chokes and custom control units that operate multiple chokes and valves. 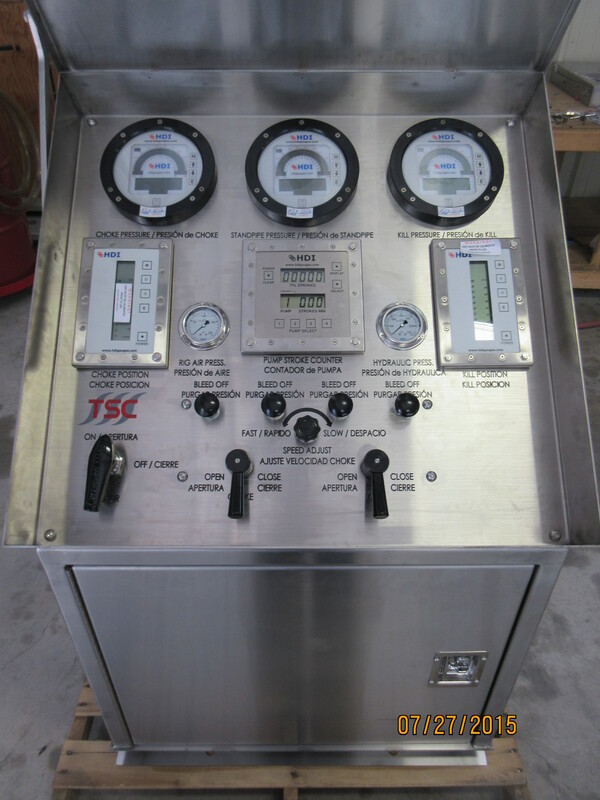 We also offer instrumentation packages to suit any need, including, pressure, temperature, choke position, valve position, pump stroke counter, level, liquid flow rate, gas flow rate, etc. We are a licensed API 16C shop and can design a API 16C monogrammed system to meet your needs.